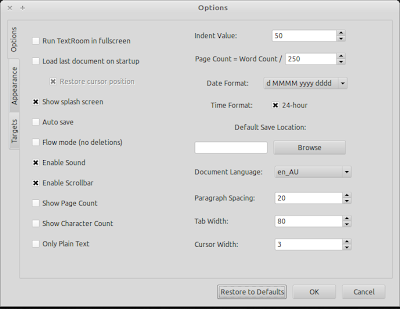 TextRoom is a full screen rich text editor for Linux that provides a distraction and clutter free interface for writing. There are no toolbars, icons or buttons and all the options can be easily accessed using keyboard shortcuts. Pressing F1 shows a list of all available shortcuts and keys mapped for them. Though the application is aimed at writers, it is useful for anyone who wants distraction free writing. It also has some cool features like keystroke sounds and an option to play background music while you work (ogg format only) with MusicRoom. A new version of TextRoom was made available few days back that brings a new feature: exporting documents to Google Docs. 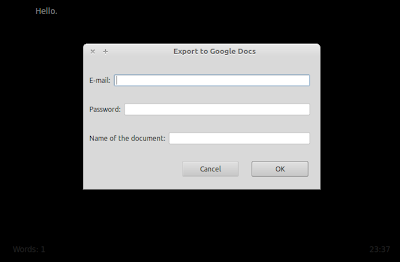 Pressing F10 will launch a new window where you need to enter your credentials and the document name and it will be exported to your Google Docs account. 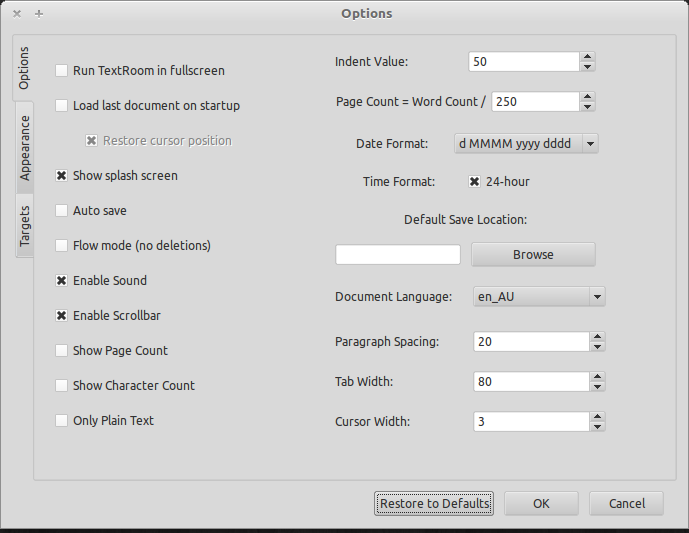 Can save file in .odt format compatible with LibreOffice and OpenOffice.